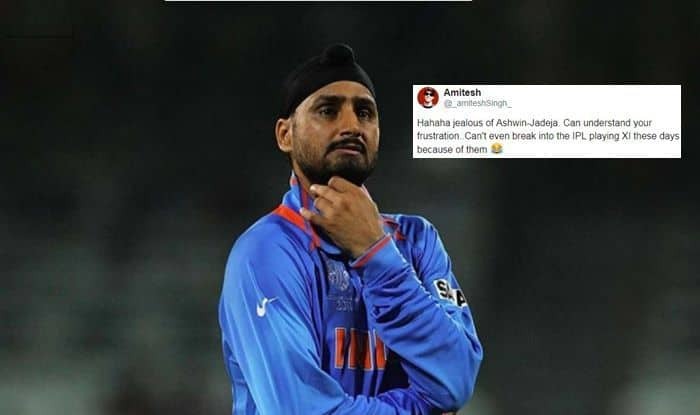 Harbhajan Singh's question on the standards of the Indian pitches, used in Ranji Trophy and home seasons have backfired and was slammed on the social media. He was seen giving a reply to renowned Indian sports journalist Vijay Lokapally's shared article, which credited the Head of the Cricket Operations, former Test wicketkeeper Saba Karim and his team for improving the Indian domestic circuit Twitter. India vs Australia 4th Test Sydney: India off-spinner Harbhajan Singh has questioned the standards of the Indian pitches, used in Ranji Trophy and home seasons have backfired and was slammed on the social media. He was seen giving a reply to renowned Indian sports journalist Vijay Lokapally’s shared article, which credited the Head of the Cricket Operations, former Test wicketkeeper Saba Karim and his team for improving the Indian domestic circuit Twitter. “Can we see that change or some change for the test matches in India too? What’s the point playing Ranji trophy on such wickets and test cricket in India on rank turners. last 5 yrs of test cricket in India every game finished 3 days. is this how u wanna save test cricket? Take pride?”, he wrote on Twitter. He faced a backlash from fans and was asked to check his facts before making such claims publically.